In all the excitement of preparing a safe, loving and happy Christmas, it’s easy to lose sight of children who won’t experience that joy. They live in remote areas and struggle against illness and poverty just to survive each day. The power of your love and the life lessons you pass to your children could transform the futures of other children in need. When she was three, Y Ngoat lost her right eye in an accident and due to the family’s poverty, could not afford the medical treatment that would have limited the damage. Now, with Plan’s help, she attends a clinic for regular check-ups to prevent her remaining sight from worsening. 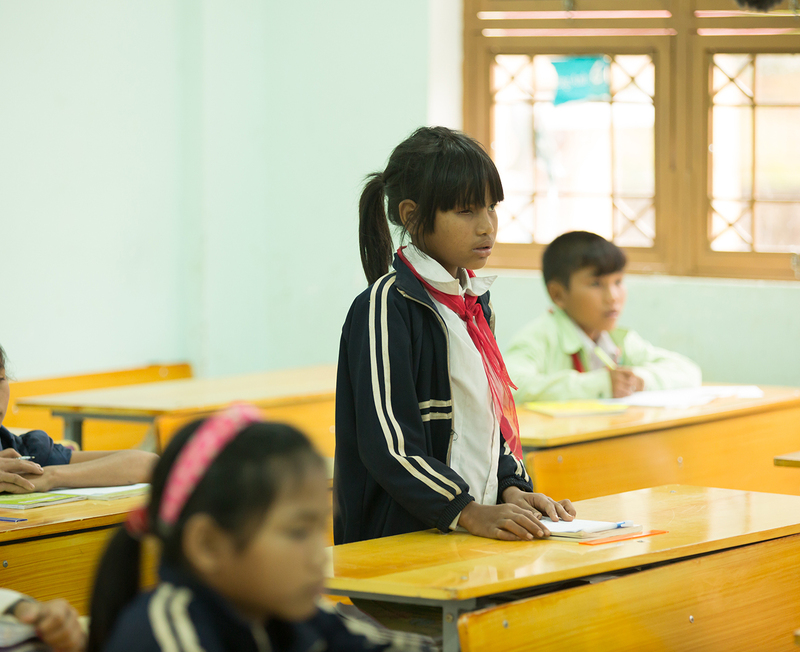 Despite this, Y Ngoat has never given up on herself, working hard at her studies and sharing in the household chores. Leila, herself a mother, was very touched by Y Ngoat’s bravery, encouraging her to work and study hard. Leila also wanted to share Y Ngoat’s story with her son to help him understand how the way one person lives can affect the lives of others. Seven-year-old Y Loan, whose mother and sisters died in floods when she was three, lives with her elderly grandparents; her father left them on remarrying. 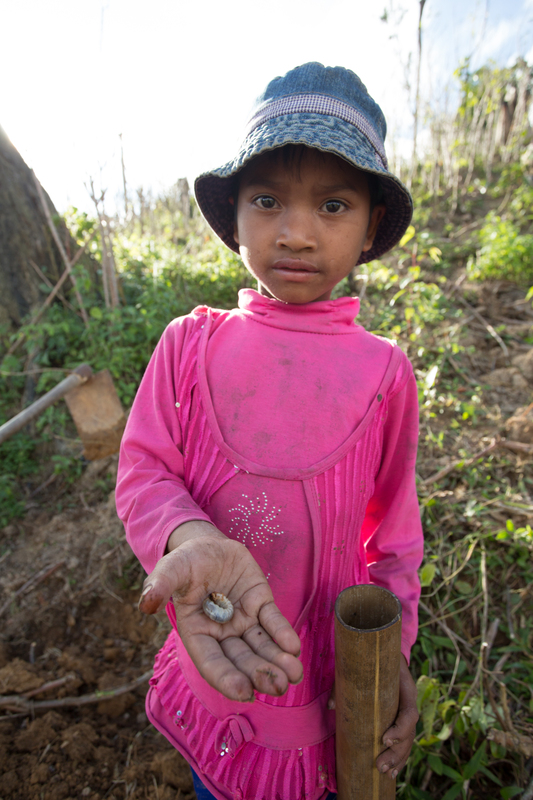 In these impoverished circumstances, worms are a delicacy for them. Alex and Stephy joined Y Loan’s grandma to uncover worms from the soil. The experience of seeking and eating worms was unforgettable for Stephy and she immediately decided to be Y Loan’s sponsor, to ensure the little girl had her basic needs met, and to help Plan continue the community programmes. True to the spirit of the Christmas season, this is a chance for you and your children to make a difference in the destiny of kids in need.